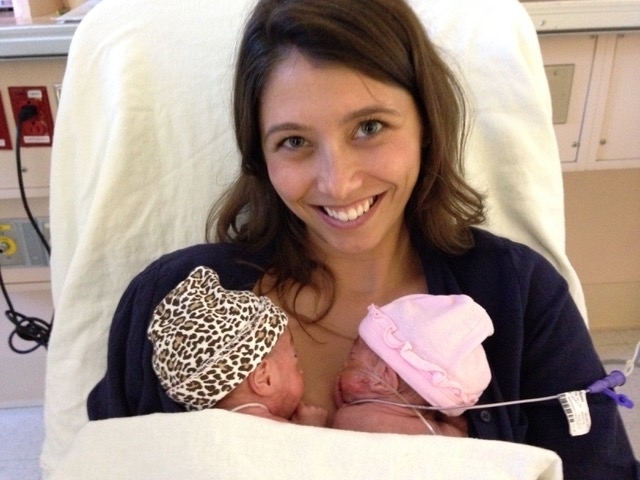 September is NICU Awareness Month, and we're chatting with Rachel Finger in Miami and Stacey Merwin in NYC about their adrenaline-inducing and heart-warming birth stories as first time mothers of preemie twins. We're talking about: a mother's mindset, kangaroo care, twin to twin transfusion syndrome, life-saving doctors and doctors who get it wrong, preeclampsia, a sweet husband who took sleeping meds at the absolute wrong moment, and a New Year's Eve that changed one mom’s life forever. Join our Instagram, Facebook, and private community..
Rachel Finger is the co-founder of Gryph & Ivyrose @gryphandivyrose which creates naturally luxurious herbal blends for children. She lives in Miami Beach, Florida with her husband and three daughters. Stacey Merwin has been living in NYC for over 12 years. Together with her husband, Josh, they are parents to the ultimate twin duo, Jack and Samantha. Between mommy working full time, daddy being a part-time manny and strolling the kiddos to and from the NYC Subways, life is never dull for the Merwin Fam. Go to raisedreal.com+ use the code: ATOMICMOMS for $25 off your first order of Raised Real! Mealtime with babies is hard, prepping it shouldn’t be. Special Thanks: Natalie Truly (brand partnerships), Maggie Borum (brand partnerships), Owen O’Neill (sound engineering), and Jeremy Turner (original music).